← Blood on the Stone . . .
She stole quietly into the pew beside her Grandpa and me, a sweet presence there. 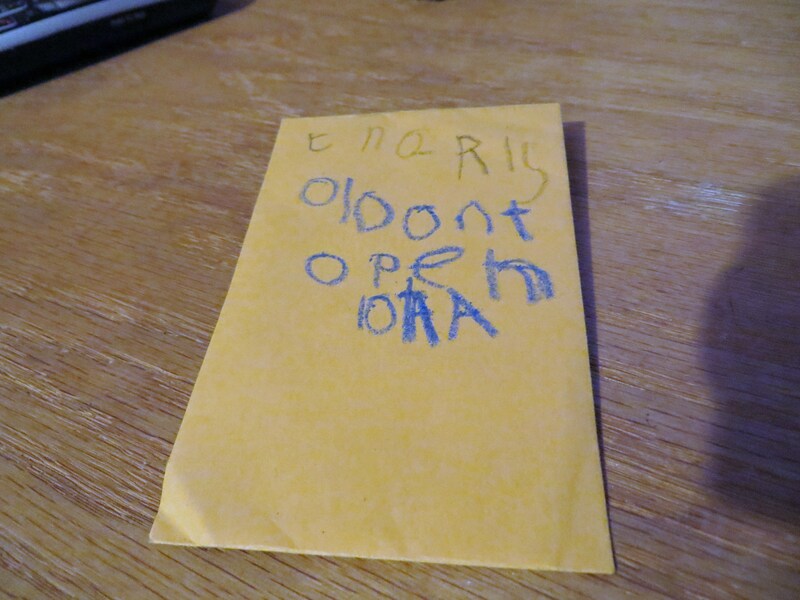 A quick pull of an envelope out of the offering slots and she wanted a pencil or crayon or something to write with. I found a small package of crayons (from one of our forays to a restaurant which handed out three crayons to restless children) and she sat back on the pew and set to work with painstaking effort. 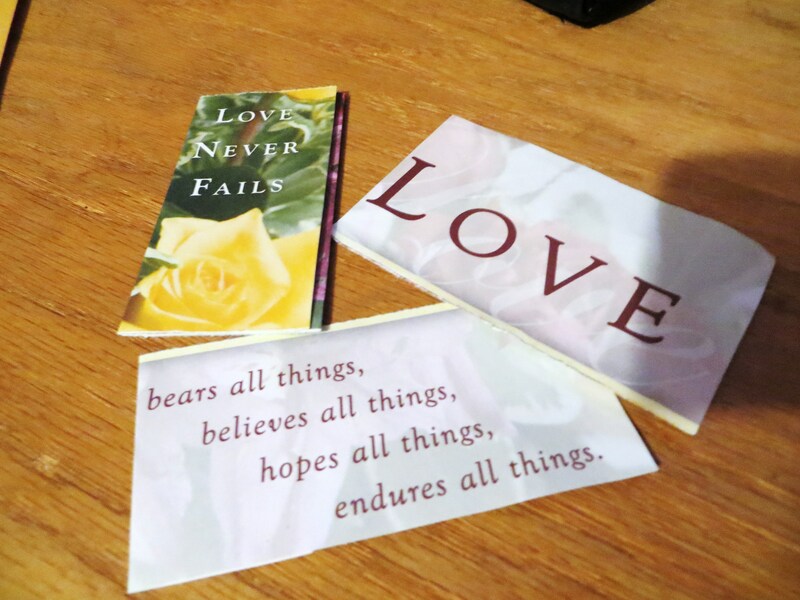 I had an old bulletin in my Bible, and I gave her some pieces to look at and to occupy her while I listened to the sermon. She tapped my arm once and asked me how to write “don’t open” and I wrote it out on a piece of paper from my church notebook and handed it back to her. Mollified, she went back to her efforts. “Okay,” I tell her, looking into her precious face. “I’ll wait ’till later!” That pleased her so much and she ran off to find her friends. This morning, at least three weeks later, I was cleaning out my purse, and I found the envelope. I couldn’t remember what it was that she had put into it, so I opened it up and pulled out the three pieces of paper that were inside. My first response was a burst of joy as I thought about this girlie who has brought so much into our lives-just by being herself, and how much delight she has in giving “stuff” to people she loves. And then my heart was suddenly quiet and thoughtful as I realized how often the Love that God puts into our hearts seems to come with a self-made sign that says, “Don’t Open!” We carry it, hidden in the depths somewhere and forget that it was given to us to open, to share. I believe it is truly there, but we forget that we have a gift — an incredible gift — given to us freely, but we have to take it, and we have to “open” it. It will give us incredible joy to share it. And it will give The Father great delight.